I'm always looking for shortcuts when it comes to dinner. 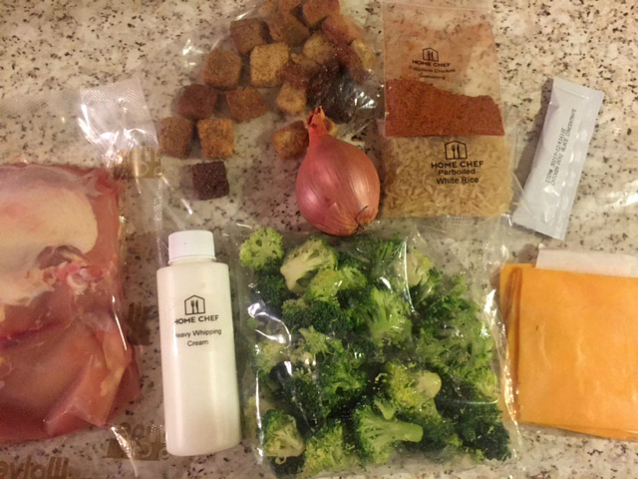 Whether it's a bag of pre-chopped frozen vegetables or a complete meal kit, I'm all about saving time (and saving a little money is a plus, too). But I never want to skimp on quality, healthful ingredients in the process. When Home Chef reached out to ask me if I'd like to try their home delivery meal kit service, I jumped at the chance. I had never tried a meal delivery service but had heard plenty of feedback from friends and fellow bloggers who had used them. I love the concept of receiving pre-measured, pre-portioned, and fresh ingredients for a complete meal for two or four (you have the option of choosing). 1. Enter your email address to create an account. 2. Browse the meal choices and make a selection. Home Chef offers you suggestions based on a taste profile you create when you register, but you have the option of making alternate selections. You also control the frequency at which you received meals. You can order weekly, every other week, monthly, or whatever you deem necessary. Weekly menus close every Friday at noon (CST). All orders are processed at that time. 3. If it's your first order, you'll need to add payment information. Payment info is stored (you can change or update it whenever you wish) for future orders. For my first Home Chef order, I chose a chicken meal and a pasta one. Both come complete with a recipe card that included the ingredients in your box, the ingredients you would need to supply from your own kitchen (salt, pepper, cooking vessels and utensils), nutrition information per serving, step-by-step instructions with corresponding pictures, and helpful hints. The finished product: Rotisserie-style chicken with cheddar, broccoli, and rice casserole. Both the chicken and casserole were delicious. I loved how simple the sauce was to prepare but how much flavor it added to the chicken overall. It really made the dish. 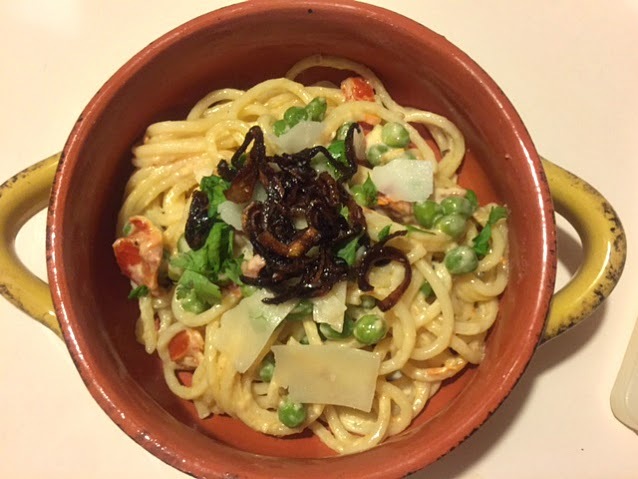 A few days later I made the second meal which was Caramelized shallot and sun-dried tomato spaghetti. If caramelized onions aren't your thing, you can always keep them out since they were a topping and not mixed in with the pasta. I, however, loved them and thought the flavor of them was a perfect balance to the cheesy pasta. Since I enjoy cooking but don't love grocery shopping, Home Chef is right up my alley! Plus, I like to cook, but a chef I am not. So when given the ingredients and a recipe, all the stress has been taken out of meal planning and prepping, and that means I'm a happy camper. I love that all the ingredients are fresh and Home Chef gives you a recommended by date to prepare the meal. I like the variety of meal choices that are offered from protein-based meals to those that are vegetarian friendly. There is even an option to add on a quick breakfast item such as a smoothie or a fruit bowl. You get to cook meals that you may not normally cook at home. Home Chef occasionally partners with hunger relief agencies where a portion of the cost of the meal is donated directly to the relief effort. I've just placed my second order if that's any indication of how much I enjoy the convenience of the service and the taste and quality of the food. For more information about Home Chef or to get started, click here.